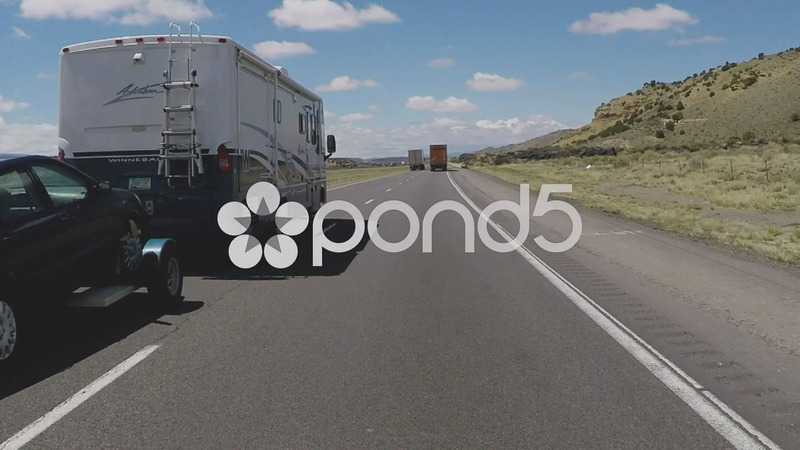 Description: Point of view vehicle driving shot of a recreational vehicle RV towing a car with a bicycle rack on an interstate freeway. A motor coach passes on the left outside of Albuquerque New Mexico. Part of a series of clips by ChromaVid featuring point of view driving stock video.